1.1.1 Heating surface requirement for individual bodies as per general method. 1.1.2 Heating surface requirement for evaporator bodies as per E.Hugot formula. 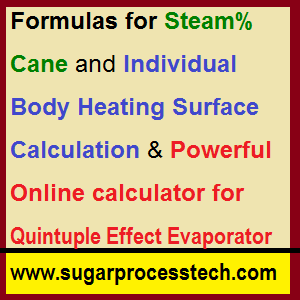 1.2 Online calculator for Steam%Cane and Individual Body Heating Surface in Quintuple Effect Evaporator. Calculation of steam%cane and evaporator set individual bodies heating surface have placed one of the major calculation in equipment design drawing of sugar process industry. In the steam%cane calculation involve so many factors like type of multiple effect evaporators, types of juice heaters, types of pans, bleeding arrangement for juice heating and massecuite boiling ect. Concentration of sugarcane juice in sugar industry is done in multiple effect evaporators either in Quadruple, Quintuple or DEVC + Quad. These evaporator systems are based on Reileaux principle selected on the basis. In maximum sugar industries Quintuple effect evaporator has been installed keeping in mind to get lower steam consumption in boiling house using extensive vapour bleeding. In this article proved formulas for steam%cane calculation and also gave formulas to find required heating surface of the individual evaporator bodies. 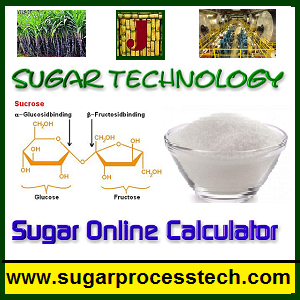 And also provided one powerful online calculator for above calculations. K = 1.5 for Batch Pan and 1.2 for Continuous Pan. M = Quantity of massecuite in Ton/hr. It is better to add moment water percentage to above required vapour. Vapour consumption for miscellaneous like pan washing, seed melting, molasses reconditioning, sulphur melting and super heated wash water system. For Seed melting take 0.4 to 0.6 % cane. For Sulphur melting purpose take 0.2 to 0.4 % cane. Now a days for sulphur melting follows like E- boiler or wapcon system ect. to avoid 7ata steam. Total Evaporation Rate = [ (Brix of Syrup) – (Brix of C.Jc) / (Brix of syrup) ] x Final clear juice quantity. Final clear juice quantity = Juice quaintly after the juice heating – Mud quantity in mixed juice ( Final clear juice quantity will change in the case of heating the juice in DCH otherwise it will same to quantity of mixed juice). ( Note: ” X ” should be have positive value. Steam%cane for total Juice Heating = Total Vapour required for juice heating x 100 / Crushing Rate in TCH. Steam%Cane for massecuite Boiling = Total Vapour required for massecuite boiling x 100 / Crushing Rate in TCH. Steam % Cane for Evaporators = Total Quantity of Vapour goes to the evaporator condenser in Ton/hr x 100 / Crushing Rate in TCH. Total Steam%cane = Steam%cane for total Juice Heating + Steam%Cane for massecuite Boiling + Steam % Cane for Evaporators + Steam % Cane for Miscellaneous. It is also helpful to cross checking of calculation. Heating surface requirement for individual bodies as per general method. Heating surface requirement = vapour production from the body in kg/hr / Evaporation rate of the body. Evaporation rates can be calculate by the existing bleeding vapour arrangement. Evaporation Rate = Vapour production in that body in Ton/hr x 100/ Total vapour production in all set of evaporator bodies. But in calculation of heating surface will be taking general evaporation rates of evaporator bodies. Heating surface requirement for evaporator bodies as per E.Hugot formula. 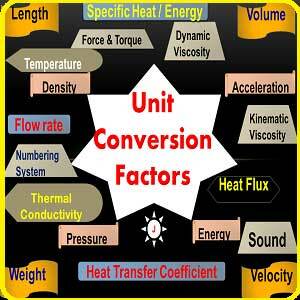 Heating surface requirement= vapour production/ ΔT * coefficient of heat transfer. (Note: In this table considered the parameter liquid column height in the body, Brix of the body and temperature of the liquid in that body. For liquid column height generally take 1/3rd height of the tube in Robert type body and 20% height of the tube in semi kestner body. Effective boiling point of the body = Temperature of the body + Boiling Point elevation. Coefficient of heat transfer calculated from the Dessin formula as follow as. T = temperature of the heating steam in the calendria, in °C (°F). Online calculator for Steam%Cane and Individual Body Heating Surface in Quintuple Effect Evaporator. NPSH calculation,NPSHa,NPSHr formulas, Pump cavitation , Pump suction and delivery lines head loss with online calculator. 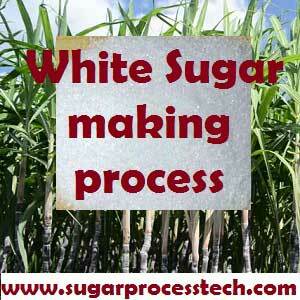 Best approach for raw juice heating in sugar industry. Expressed in brief and simply.each and every point consider ed. Recently i heard SEDL under execution one project for getting 30% steam in case of beck end refinery plant. According to your configuration “X ” value comes native value in the calculation. So it is not possible. Thanks sir to give important knowledge….. Improve Improve efficiency of evaporator.